To many, Provo, Utah might seem an unusual choice to follow on the heels of Google’s earlier announcement its gigabit fiber network was headed to Austin, Tex. Provo is only the third largest community in Utah — Salt Lake City and West Valley City are bigger — and the community already has a fiber network called iProvo. So why build another one? iProvo was envisioned a decade ago as a public-private partnership — a fiber to the home network owned by the public with private service providers using it to sell broadband and other services . iProvo taught an early lesson about municipal broadband — large cable and phone companies routinely boycott participation in any network they do not own and control themselves. Comcast, the dominant local cable operator, also “went ballistic” according to former mayor Lewis Billings. iProvo can be yours for just $1. With both Qwest and Comcast wanting nothing to do with the project, smaller independent ISPs had to fill the gap. It was a difficult sell, particularly because Qwest and Comcast blanketed Provo residents with a misinformation campaign about the network and pitched highly aggressive retention offers to keep customers with the phone and cable company. iProvo has been in financial distress ever since. Former Provo city councilwoman Cynthia Dayton remembers being on the council when iProvo was approved and believes the public-private network was a decade before its time. More than a year ago, Google noticed the city of Provo issued a request for proposals on what to ultimately do with iProvo. Google became interested because Provo is seen as a city with hundreds of technology start-up companies and maintains a vibrant tech hub. The city also ranked highly for the enormous value it places on connectivity and community — something the approval and construction of iProvo demonstrated. City officials and Google executives began quietly talking more than a year ago about Google buying the public-private network. A key selling point: the city was willing to let the operation go for a steal — just $1.00. In return, Google promised to invest in and upgrade the network to reach the two-thirds of Provo homes it does not reach. Google says iProvo will need technology upgrades in the office, but the existing fiber strands already running throughout the city are service-ready today. Val Hale, President of the Utah Valley Chamber of Commerce, said a quick “back of the envelope” estimate put Google’s anticipated investment in iProvo network upgrades at $18 million, according to the Deseret News. Unfortunately, taxpayers will still need to pay off about $40 million in bonds the city accumulated for iProvo’s initial construction costs. Current Mayor John Curtis says he has made the best out of a difficult situation. Google promised free gigabit Internet service to 25 local public institutions including schools, hospitals, and libraries. Residential customers will be expected to pay $70 a month for 1,000Mbps service or get 5Mbps broadband service for free up to seven years. Google’s investment in Provo is anticipated to be far lower than in Austin and Kansas City — cities where it needs to build a considerable amount of fiber infrastructure from scratch. With existing fiber already in place in Provo, Google’s gigabit service will be available by the end of this year, at least six months faster than in Austin. With reduced construction costs, Google will only ask new customers for a $30 activation fee, far less than the $300 Google will ask Austin and Kansas City residents to pay if they do not sign a multi-year service contract or only want basic 5Mbps service. 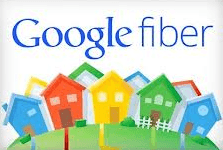 Google sees the opportunity to use its fiber network in an ongoing effort to embarrass other broadband providers into investing in speed upgrades. Anyone know how many other failed or partially complete municipal fiber systems are out there? Opportunities like this, that and are just ready and waiting for Google to step-in and pick-up the pieces, could quickly turn Google Fiber from a mere curiosity into a real threat to incumbent providers. What do we, the people in/around/near Rochester, NY, have to do to get Google to come this way? I suppose it doesn’t have to be Google, but I would very much like to see a viable competitor to Time Warner start providing services around here…Frontier is a joke, and Time Warner abuses their position of power by constantly raising our rates and providing poor customer service, just so they can offer lower rates to customers in other cities where they have to compete with the likes of Verizon FiOS or whatever. Regular readers of this blog that live in this area already know what I’m talking about. So, what do we have to do to get things to change? I agree… It would be nice to get some of the towns here to issue some bonds to build this out. Frontier is definately a joke, and Time Warner does what they do because you have NO choice. Phillip: what would your reaction have been had Comcast or Qwest offered to buy the network for $1 and not assume the outstanding debt? I can guess — yet google gets a pass? If they were willing to use it to sell 1Gbps broadband for $70 a month I’d be all for it. But we know they never would, because neither company sees gigabit broadband as relevant or desirable for residential customers. They won’t until Google shows them they are wrong. No private company would be interested in iProvo if they had to carry the debt. But even the Republican city mayor admits the $40 million is still an investment that will pay dividends in the long run, because institutional users will have free long term access, residential customers will have gigabit speeds, lower income residents will have free 5Mbps service for seven years, and start-up tech companies will help further ignite the local economy. This isn’t the first time a private company has bought up the assets of municipal broadband networks. But they usually dismantle them or repurpose them for internal or institutional use and do not retain fiber service for residential customers. Comcast sees a long future with their HFC network (fiber fed middle-mile and coax cable in the last mile). CenturyLink (formerly Qwest) has a track record following AT&T’s fiber to the neighborhood concept with their own version of U-verse called Prism. But it isn’t in Utah yet. BTW, I am pro-funding of broadband expansion using Connect America Fund money, even if it goes to private telcos/cablecos. In West Virginia, I support Frontier’s advocacy that funding go to extending last mile service to unserved residents before it is used to upgrade existing service. So I am not anti-private provider. You make a good point txpatriot, but on the other side of that coin I would say that Google does not have a reputation of abusing the corrupt political system to gain competitive advantages, and does not have a reputation of abusing their position of power to rake in huge profits for their executives while screwing over their customers. So, if any of the three that you mentioned (Google, Comcast or Qwest) were going to be offered a deal like this, I personally would root for Google over the other two due to the reputations of Comcast and Qwest being relatively poor and Google’s reputation being relatively positive. Obviously I don’t speak for Phillip, and this is just my opinion on the matter, for what it’s worth.